Cities across the country are wrestling with housing affordability and are seeking innovative ways to accommodate changing lifestyles and housing demand. Demographic changes are influencing consumer behavior, and the standard model of a single family home in the suburbs is now competing with a wider range of housing choices that are smaller and easier to maintain. This demand for new housing choices means that municipalities may need to consider changes within existing single family zoning districts, especially for the increasing popularity of accessory dwelling units (ADU’s) on existing single family lots in established neighborhoods. Accessory Dwelling Units are also called “granny flats”, “garage apartments”, “laneway houses”, etc. An Accessory Dwelling Unit is broadly defined as an attached or detached apartment that is fully self-contained, with a full bathroom, kitchen, bedroom(s), and has its own exterior door. It may have its own utility meters, but will be built to code, inspected, and have an occupancy permit issued by a local code official. ADU’s can be between 400 square feet or as big as 1,200 sf, but should be smaller than the primary residence. ADU’s must meet all of the setbacks and limitations of the underlying zoning district, which in many communities is the reason why ADU’s are prohibited. The floorplan for a typical ADU can fit comfortably above a two car garage, but can also be split between the first and second floor depending on the square footage and dimensions of the lot. There are challenges to building ADU’s. Mortgage lenders prefer to have one loan instrument per property, meaning that the main house and the ADU have to be on the same note. This would require an infusion of cash for construction or a refinancing event. Water and utility meters should be separated so that the primary residence and the ADU are individually controlled and billed. Not least of the challenges is appeasing concerned neighbors that may feel like an ADU will restrict sight lines, create shadows, or bring an unsavory element to the neighborhood. While each of these concerns is valid, good communication and planning will address these issues without unnecessary fear or speculation. 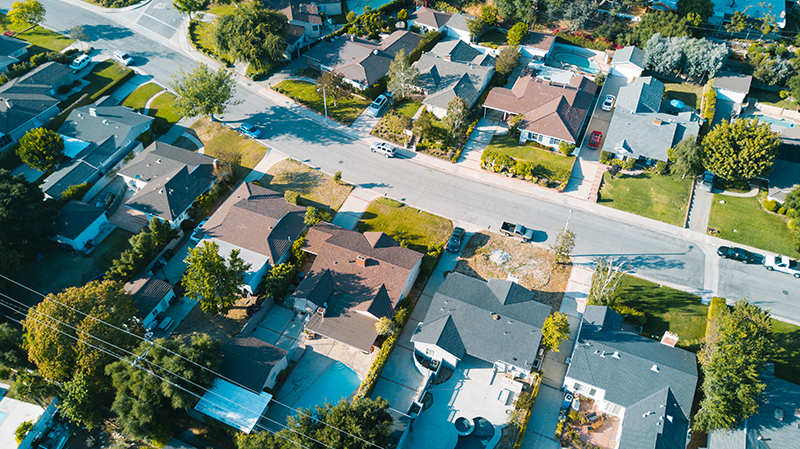 Cities can get ahead of this shift in housing demand by reevaluating their residential zoning codes to determine how applications for accessory units would be permitted and inspected as a use-by-right within single family zoning districts. Among the social and economic benefits of ADU’s are an increased population using the same infrastructure and increased local tax revenue with no additional extension of municipal services. The total number of individuals in a household has declined in the past three decades and accessory dwelling units provide an opportunity for cities to gain positive, healthy density. A small increase in population in a stable neighborhood can increase security by providing an extra set of eyes on the street, provide rental income to help maintain the primary home, and offer temporary housing to family or friends in need. A new generation of homeowners is looking for flexibility, connectedness, and resiliency in housing choices, because the one-size-fits-all model is no longer attractive to these buyers. Additionally, single occupant households and multiple generations living under one roof are becoming more and more prevalent. Buyers are seeking complete neighborhoods that incorporate housing choices, access to schools, parks, sidewalks, and are close to cultural amenities. But, these neighborhoods come at an increased price and are in short supply. Accessory dwelling units may not be appropriate in every neighborhood, but depending on the site, neighborhood context, and planning process, ADU’s can be a successful way to provide housing alternatives to match the needs of the next generation.